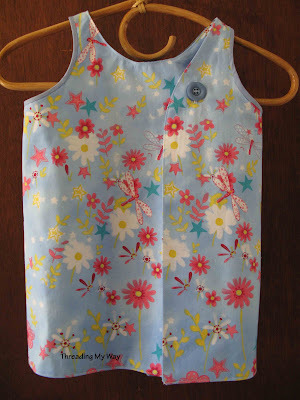 A while ago I purchased Mary Go 'Round, a little girls' dress, from Patterns by Figgy's. It's a wrap around dress that is fully lined. There is only one pattern piece, cut twice; one for the right side and one for the lining. The fabric I chose for the right side is Fairy Castle by Fabri Quilt. All went well until I misread the instructions. I sewed the lining and the right side armholes together before I turned the dress right side out. Well, of course I couldn't turn it. Yes, the instructions did clearly state not to do that, but I skimmed over that section and misread the next section. Oh well, that's why all machines come with a seam ripper. Some days, mine gets lots of use. I used store bought bias around the armholes. Next time I might make my own bias to match the lining material, but this time I just used the store bought bias I already had. Apart from my mistake and needing to unpick stitching, sewing the bias was the longest part of the project. As I only had a narrow bias, I thought it would look better if I hand sewed the bias to the inside. As it's a wrap around dress, there are actually three armholes. My new machine has an automatic buttonhole, which is absolutely fantastic. It's so easy. Using the automatic buttonhole, meant I couldn't put a really large button on like I wanted. I didn't want to fiddle and go back to doing a buttonhole without the automatic stitch, so I chose a slightly smaller button. Perhaps there's a way to do a large buttonhole on automatic. I'd love to know. I'm happy with the little dress. As usual, Patterns by Figgy's have provided clear and detailed instructions, which are easy to follow (as long as you actually read them). The end result is a cute little dress. As it's fully lined, it will be quite warm. I think it would look good teamed with leggings and a t-shirt. Edited to add: I've made a slight alteration to the dress, by adding an extra button. It seemed to need the extra button to make it sit correctly. You can see a picture here. Thanks for your comment on my blog! Looks like you sew lots of bags with casings too, so hopefully the wire trick will be helpful! Your work is very good- I need to try french seams sometime soon! Good luck with your blog and have a great rest of the week! This looks like a great pattern. I love the fabric you've chosen. I don't know how many times I've misread instructions and ended up having to spend time with my trusty seam ripper! cute dress. I love Figgy's patterns too. I have the Jane Blouse. What machine have you got? My machine also has an automatic buttonhole and I wanted to put a large button on a jacket I made. I couldn't :-( I ended up sewing a large press stud on and then sewing the large button over the top. This works fine. I love the dress and the fabric is just fabulous! Yes, seam reaper is my best friend on many days...in fact last week mine broke...I thought they were made of metal...good thing I have two more. Sherry, I like your idea of sewing a large button over the press stud. It's a great solution which I'll definitely do next time. My machine is a Bernina Aurora 440QE. I love this. It's simple and chic and I've never seen a jumper like that. Hi, I'm hopping over from Creation Corner's Friday Link Party. What a cute dress! This is a cute little dress! I wonder about that button hole too, there must be a way to make bigger ones! Thanks for linking up to Eat, Grow, Sew! So cute! Thanks for linking up to the Creative Genius Link Party! I'd love to see you link up again tomorrow! 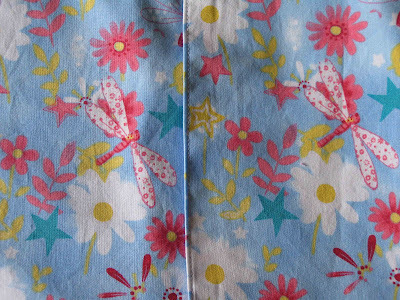 So... as I'm just reading this today... did you find out how to make a larger button hole? 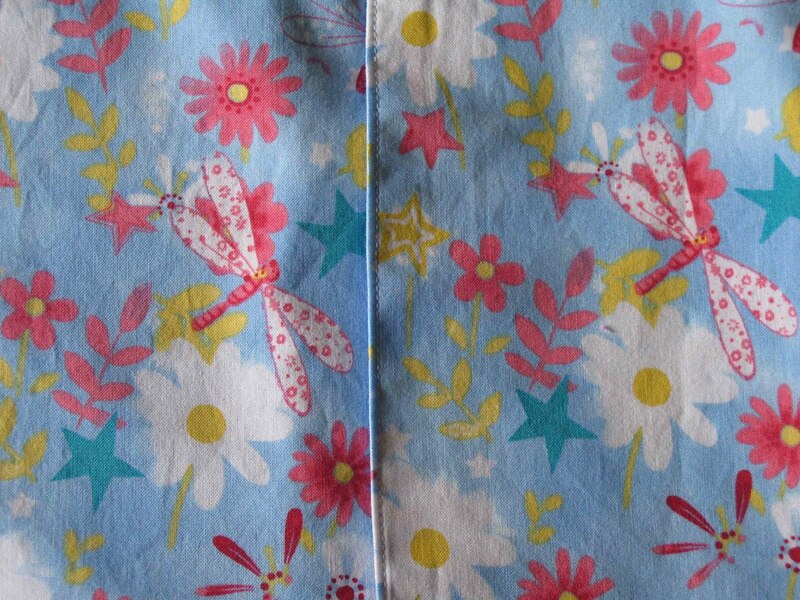 Because depending on the machine, you should be able to make a button hole any size you want! I remember having a jumper like that when I was a little girl. That's when either mom or gramma sewed for me all the time. Cute jumper... and I too have broken seam rippers... nothing like breaking one at night when working on a wedding dress... and crossing your fingers hoping that you won't need it again b/4 morning! With my Bernina Aura, I can only work out how to make a larger buttonhole if I take off the gadget to do an automatic buttonhole.